Ladies alpaca skirt by Artisan Route. Style Sandra. 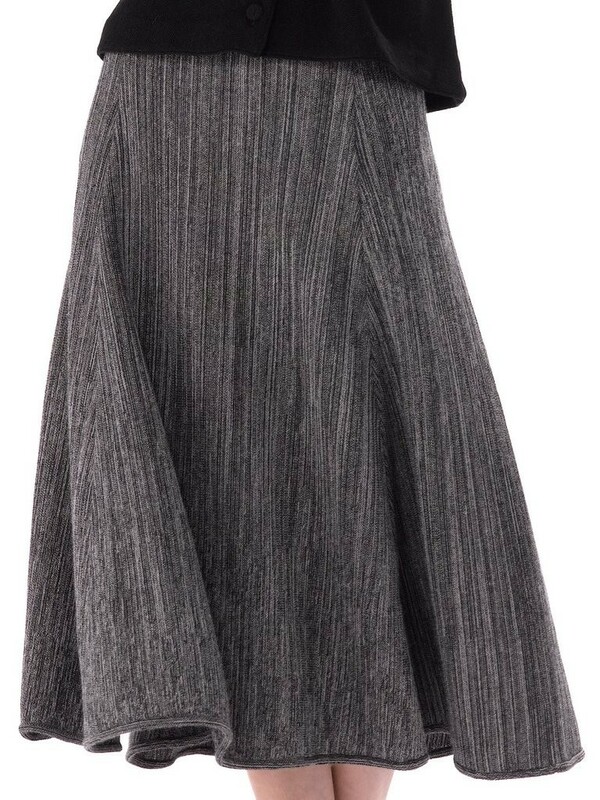 Elegant swing skirt in a classic mix of grey and black that will take you from day to night. Featuring an elasticated waistband. The model wears the Sandra skirt with the Kesia black cardigan.